Our Sandpiper design is a striking summer must-have. Featuring a bold geometric pattern that was designed by our team in our Sheridan Sydney Design Studio. Crafted in 100% cotton and woven with a unique, flat weave face with a soft and absorbent loop-pile terry reverse. 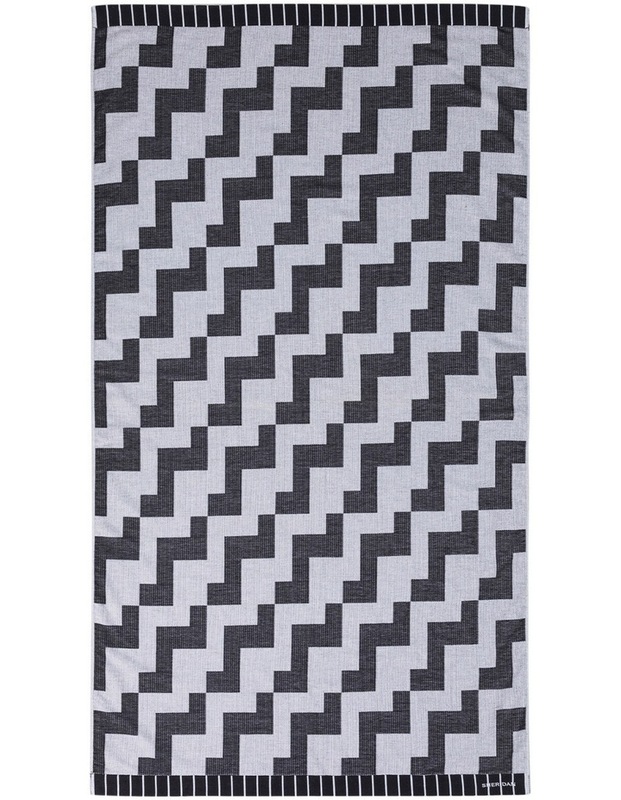 Finished with a contrast pattern header, this towel is cleverly constructed in a modern monochrome design for endless summers.